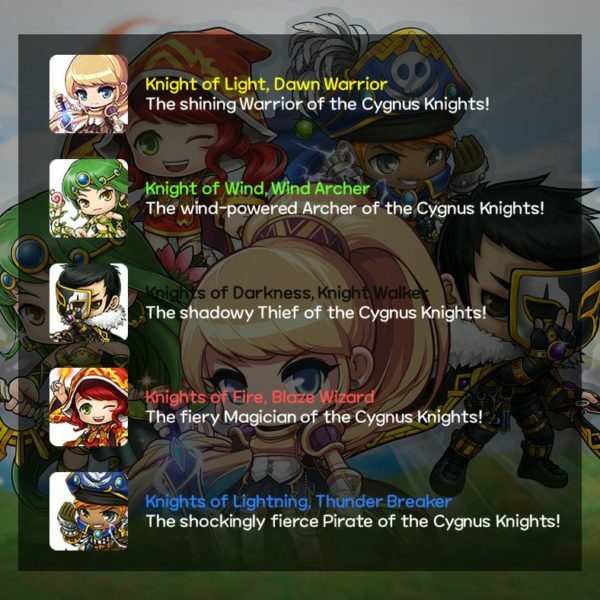 Knights of Cygnus (or also known as Cygnus Knights / KoC) will soon be released on MapleStory M.
Long-term fans of MapleStory are definitely familiar with the Cygnus Knights as they were released on PC many years ago, and are also already on the Korean version of this mobile game. 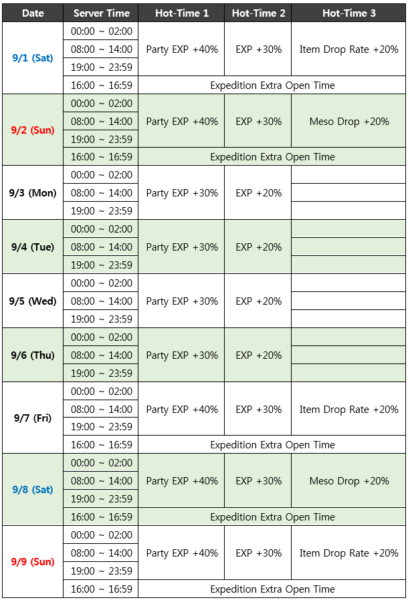 Five new classes will be introduced on top of the already existing Explorer classes. Five new classes will be introduced with this Cygnus Knight patch, i.e. Night Walker, Dawn Warrior, Wind Archer, Blaze Wizard and Thunder Breaker. I think there may be a typo with the image uploaded on Facebook, as it should be Night Walker, not Knight Walker. The first on the list is Wind Archer, which is similar to the existing Bowmaster except that it may even be stronger than the latter. In fact, many are saying Wind Archer and Night Walker are the top 2 DPS classes for the KoC. Unfortunately, the stats of Wind Archer may be weaker than that in the Korean MapleStory M.
Dawn Warrior is also known as the Soul Master if you have played Maple SEA. This character may be using a 2-handed sword so if you’re using a Dark Knight, your weapon may not be transferable. Dawn Warrior and Blaze Wizard are characters good for mobbing skills I presume. Thunder Breaker is like Corsair except that it uses its fists, not guns. Think of it as a melee pirate. They will introduce knuckles into the game for Thunder Breaker. Night Walker is said to be the strongest DPS class of the Cygnus Knights, and even better than Night Lords when it comes to bossing. However, I’m not certain if they will change the stats for global. A helpful player on Reddit made YouTube videos for each class but I’ll share just this for Night Walker. That said, Night Walker is said to be terrible at mobbing. The last on the list is Blaze Wizard, a magician type of character. It uses flaming attacks and it does not take away the role of Bishops, so don’t worry. They will introduce staffs to the game for Blaze Wizard so you probably can’t use the wands you have on your Bishop. 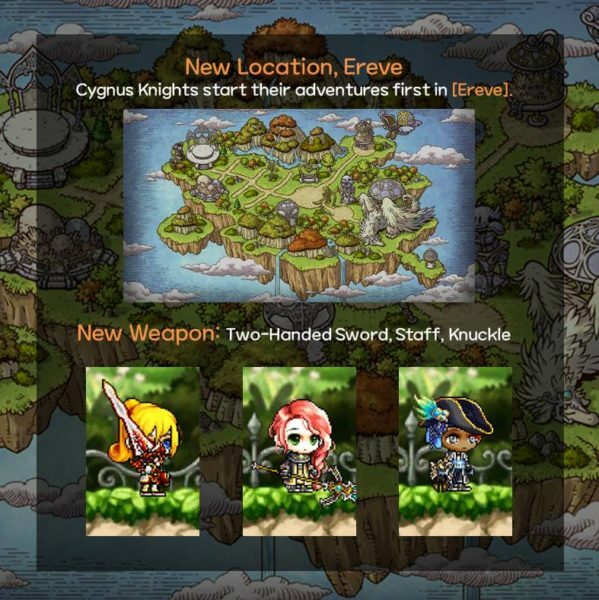 The Cygnus Knights classes will start in Ereve, not Lith Harbor. Do give it a try when it comes out. Most people would just go ahead and search for this. Which class is the strongest among all Cygnus Knights, probably in terms of DPS and bossing? Two classes stand out, i.e. Wind Archer and Night Walker, only if the stats are the same as in the Korean version. For those playing Night Lord right now, don’t be surprised to see Night Walkers doing higher damage in the future (if they follow Korean Maple). I’m sure many would change classes, but also a big group like myself would not change, simply because we’ve invested a lot into the character. Also, if MapleStory M global follows the PC version, the Explorer classes will become even stronger much later in the game when other classes have been introduced. What now? Should you stop playing Explorers? With the introduction of new characters, I doubt your characters will be nerfed or anything. It’s just that the new ones might be stronger for now (especially Night Walker / Wind Archer). As someone who uses Night Lord and have invested a lot in the game (up to a Mythic claw), I probably wouldn’t change my main character. That said, I’ll still try out new classes to see what they have to offer. In the meantime, enjoy the extra EXP they’re giving for the Cygnus Knights pre-release. On a side note, I just made a video on opening the latest royal style coupons. Do check it out!